Psychedelic batik vector background. This abstract backdrop is a bright explosion of light and color is a feast for the eyes. 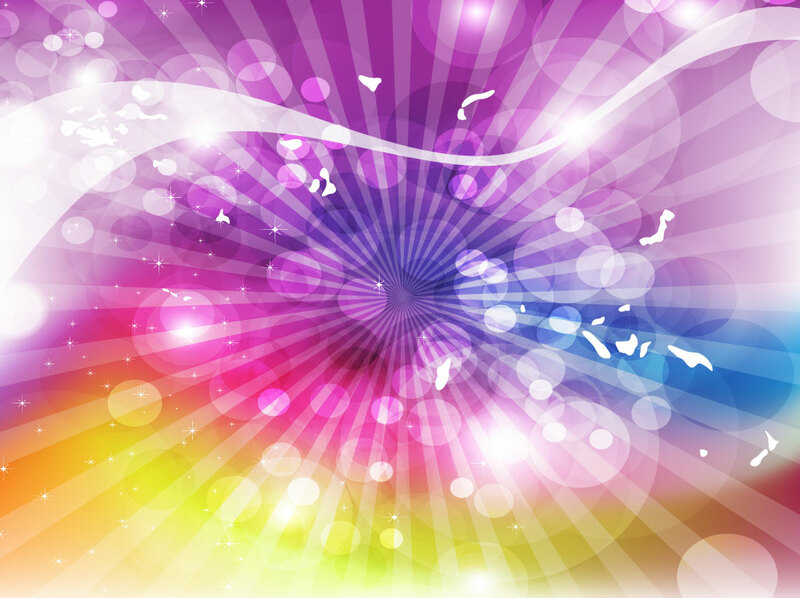 Rainbow gradient mesh backdrop decorated by a spiral of light rays, transparent circles and sparkling stars. This beautiful design is a free download for your flower power, peace movement, vintage sixties and seventies posters, happy birthday or celebration themes. Download this cool design footage for your hippie, textiles and fashion stock library. Tags: 60S, 70S, Batik, Colors, Dyes, Fabric, Fashion, Flower Power, Hippie, Textiles.